Utah State University faculty member Peter Howe recently joined colleagues in Yale’s program on climate change communications when a summary of their research, from surveys of 22,000 people, was published in the New York Times. The article shows how support of policies to address climate change theories varies by geographic locations. 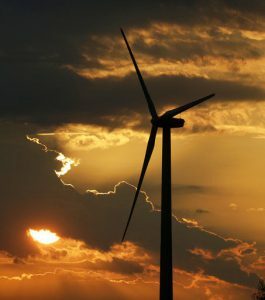 “People, by and large, strongly support funding research into renewable energy,” Howe explained, “85 percent of people around the country support that. They support tax rebates for electric vehicles or solar panels on people’s houses; 82 percent of people support that, including 82 percent of people in Utah. He said there is a lot more division over policies related to expanding fossil fuel development. He said support for offshore drilling of oil and natural gas appears divided with coastal regions generally opposed to drilling in ocean waters and inland communities in favor of offshore fossil fuel development. USU professor Peter Howe has collected data to determine what people across America think about climate change. “One interesting thing we found: we asked people how much they talk about global warming themselves, with their friends and family,” Howe continued. “And very few people do. Only about a third of the people around the country do. But here in Utah it turns out that a few more people than the national average are talking about global warming. Peter Howe is an assistant professor in USU’s Environment and Society Department.